Waterston in LAW & ORDER. Sam Waterston was born on November 15, 1940 in Cambridge, Massachusetts. In 1991 Waterston's character on I'll Fly Away, was ranked #17 in TV Guide's list of the "50 Greatest TV Dads of All Time." Sam is the official spokesperson for TD Waterhouse, the online investment company. 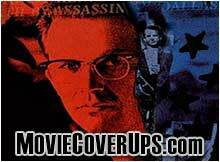 He has appeared in all of their television commercials starting in 2003. Waterston was nominated for Broadway's 1994 Tony Award as Best Actor (Play) for playing Abraham Lincoln in a revival of Robert E. Sherwood's Abe Lincoln In Illinois. 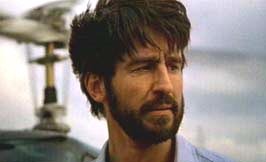 In 1984 Sam Waterston gave a subtle, heartfelt performance as journalist Sidney Schanberg in The Killing Fields and earned an Oscar nomination as Best Actor. 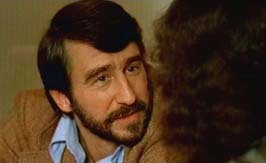 Sam Waterston in Hopscotch (1980). 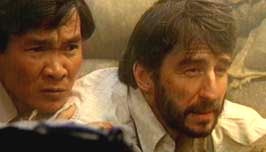 Sam Waterston in The Killing Fields.